The BioShock movie, like most video game movie projects, died in production hell. Which is probably for the best. But hey, if you're a bathysphere-half-full type of person and are interested in what the project could have looked like, here's some concept art. It's by Jim Martin, and is a lot more varied and revealing than Tim Flattery's images, which were shown off last year. 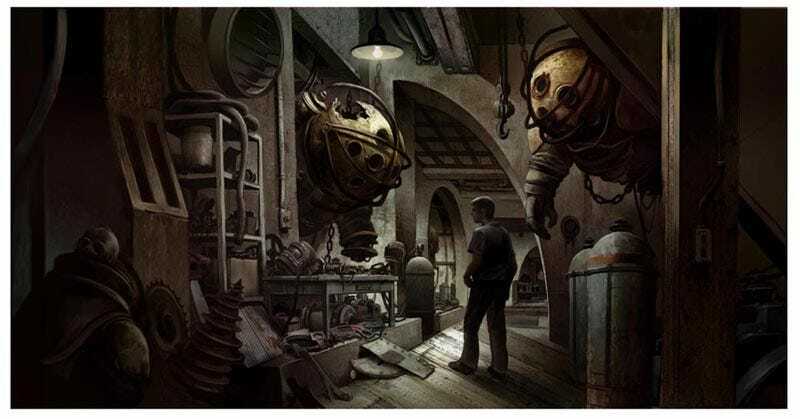 I like them because they don't just recreate Rapture as we saw it in the game; they go behind the scenes, showing the guts of the city, things like ducts and Big Daddy workshops. You can see all the art at Jim's site.